60% Off Your Second Guest & More on Royal Caribbean! Home » Cruise Lines » Royal Caribbean » Buy One Get One 50% Off & More! Hang with howler monkeys in Belize. Set off in search of the perfect wave off the coasts of Cozumel. No matter what path you take, you’re in for an adventure when you take advantage of Royal Caribbean's BOGO Sale! Book a Royal Caribbean cruise with us departing on or after March 1, 2019 and get 50% off your second guest, and 25% instant savings on third & fourth guests. Plus, kids sail free* on select sailings! For example, depending on what you book we'll give you Onboard Credit or Pre-Paid Gratuities! Cruise must be booked April 1, 2019 through May 7, 2019 (the "Offer Period") only. Offer applies to select sailings departing on or after May 1, 2019. Offer includes 50% off cruise fare of second guest booked in the same stateroom as first full fare guest ("BOGO"). 25% off cruise fare for third guests and higher booked in the same stateroom as the first two qualified guests. All savings will be applied automatically at time of booking. BOGO does not apply to third and higher occupancy guests. Kids Sail Free offer provides free cruise fare of third and higher guests who are 12 years or younger as of cruise departure date, booked in the same stateroom as the first two qualifying guests in a triple or quad occupancy stateroom on 4-night or longer Alaska, Bahamas, Bermuda, Canada, Caribbean, CaribNE, Coastal, Cuba, Europe and Hawaii sailings departing between May 1, 2019 through May 15, 2020. Offer excludes Summer sailings (Sailings between May 15 – August 31, 2019) and 2019 Thanksgiving sailings (Sailings between November 23 - 30, 2019), Holiday sailings (Sailings between December 15, 2019 - January 3, 2020), President's Day sailings (Sailings between February 14 - 17, 2020), Spring Break sailings (Sailings between March 14 - 23, 2020) and Holy Week/Easter sailings (Sailings between April 3 - 17, 2020). All savings will be applied automatically at time of booking, and reflect in the pricing displayed online. All other charges, including, but not limited to, taxes, fees and port expenses, are additional and apply to all guests. BOGO and 3rd & 4th guest savings are combinable with promotional OBCs, NextCruise offers, Instant Savings, restricted discounts (for example, Seniors, Residents, Military), Promo Code driven offers, Free Upgrades, Crown and Anchor discounts and Shareholder Benefits. All offers are not combinable with any other offer or promotion, including, but not limited to, Standard Group, Interline, Travel Agent, Travel Agent Friends and Family, Weekly Sales Events, Net Rates. After the Offer Period, the Offer will be removed from the booking if the guest cancels and reinstates the booking or rebooks into a new booking on the same ship and sail date, applies a fare change, or changes the ship or sail date of the booking; certain other changes to the booking may also result in removal of the Offer. Offer applies to new, individual and named group bookings confirmed at prevailing rates. Individual reservations can be transferred into an existing group, assuming required criteria are met. Offer open to residents of the United States, Canada, Puerto Rico and select countries in the Caribbean. 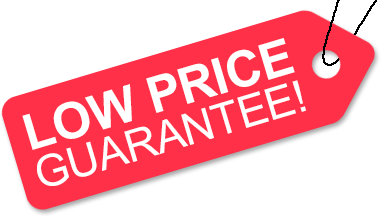 Prices and Offer are subject to availability and change without notice, capacity controlled, and may be withdrawn at any time. Additional restrictions may apply. Every effort has been made to produce this information accurately; we reserve the right to correct errors.